Keep your style fresh with this wrap ring! 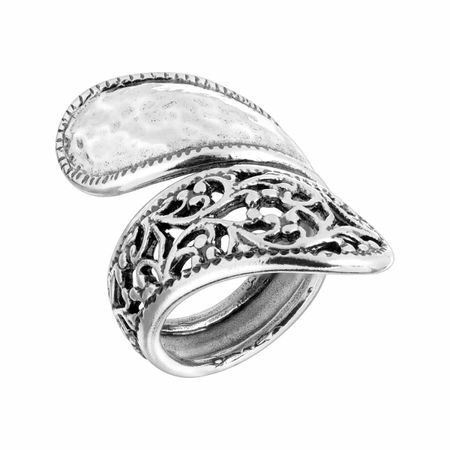 Half hammered sterling silver and half filigree motif, this ring is sure to add a layer of detail to any ensemble. Ring face measures 1 1/4 inches in width.